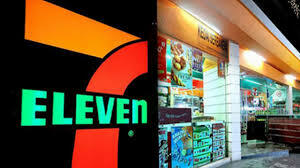 other unlawful behaviour at some of the most prominent franchises in the country, including 7-11. This scandal put government under pressure to take legislative steps to protect vulnerable workers employed in franchises. In many cases, the franchise agreement sets conditions that are so tight that franchisees feel pressure to cut corners on employment standards law in order to squeeze out bigger profits. Franchisors maintain significant control over almost every aspect of the business, but then suddenly claim absolutely no role or control when a franchisee violates employment laws. The legal challenge is how to ensure employees of franchisees receive all of their legal entitlements. In the recent report prepared for the province of Ontario, the Changing Workplaces Review, the two experts proposed a model that involved broader based collective bargaining in the franchise industry (see part 11.6.1). However, somewhat surprisingly given that the purpose of the government’s review was to address vulnerable workers, the Liberals all but ignored the franchise problem in its Bill 148 legislation. That proposed law would possibly permit a single union that represents multiple stores (i.e. three Tim Hortons) owned by the same entity to combine into one larger bargaining unit, but that does not provide a broader solution to the challenge of enforcing employment laws in the thousands of small franchise operations. Australia took a serious look at the problem and came up with a much more robust solution that should be of interest to anyone interested in regulation of vulnerable work. A new law was passed this past Monday. I asked my friend Dr. Tess Hardy of the University of Melbourne Faculty of Law, one of Australia’s leading experts on employment practices in franchises, to describe the new Australian Fair Work Amendment (Protecting Vulnerable Workers) Bill 2017. Read Professor Hardy’s explanation of the law and consider whether a similar law in a Canadian province would be effective at improving legal compliance in Canadian franchises. including international students, were routinely receiving only half the minimum wage. Employment records were often deliberately falsified to mask this wrongdoing and foil enforcement efforts. This wave of underpayment scandals has exposed the limits of the existing legal framework, provoked widespread public concern and prompted major legal reform. Earlier this week, the Australian Parliament passed new laws which are specifically designed to curb deliberate and systematic non-compliance with federal workplace laws. While the Fair Work Amendment (Protecting Vulnerable Workers) Bill 2017 (Cth) is not without some gaps, it represents, and remains, a momentous step forward in terms of enhancing compliance with employment standards regulation in Australia. One of the most contentious aspects of the Bill is the set of provisions which extend liability for employment contraventions beyond the direct employer. Under the new laws, a ‘responsible franchisor entity’ (or one of its officers) will become liable for prescribed contraventions committed by their franchisees where they knew, or reasonably ought to have known, about the contraventions and have failed to take reasonable steps to prevent them. Similar provisions apply to holding companies in relation to contraventions committed by their subsidiaries. There are at least three aspects of these new liability provisions which are critical and require further explanation. First, the scope and application of the new franchise liability provisions pivot on the definition of ‘responsible franchisor entity’, which is described as a franchisor that has ‘a significant degree of influence or control over the franchisee entity’s affairs.’ While ‘affairs’ is not statutorily defined, the Explanatory Memorandum makes clear that the term is intended to be read broadly, and is not limited to particular aspects of a franchisee’s operations. Rather, it is intended to include involvement in the franchisee’s financial, operational and corporate affairs. Second, the provisions will allow the courts to take into account not only what the responsible franchisor entity ‘knew’ about the franchisee’s contravention, but what it ‘could reasonably be expected to have known’. By expanding the knowledge requirement in this way, these new provisions potentially overcome one of the most challenging aspects of the existing accessorial liability provisions as they presently apply to fragmented work arrangements, such as franchise networks. Third, in determining whether a responsible franchisor entity has taken ‘reasonable steps’ to prevent the franchisee’s contravention, the court is directed to have regard to a non-exhaustive list of relevant matters, including: the size and resources of the franchise; the extent to which the person had the ability to influence or control the contravening employer’s conduct; and any arrangements the person had in place for assessing the employer’s ensuing compliance with workplace obligations. Taken together, these provisions effectively allow the court to undertake a fact-sensitive analysis which takes into account the full range of circumstances. Imposing reasonable standards of diligence can be more administratively burdensome and less certain than strict liability regimes, however, one advantage is that courts are provided with sufficient flexibility to adjust the liability standard so as to reflect the diversity of franchising arrangements. Further, placing broad, positive duties on franchisors is designed to promote the right type of liability avoidance on the part of lead firms – that is, to encourage franchisors and holding companies to do more (not less) in terms of enhancing compliance with workplace laws across their respective business networks. Now is the time for franchise systems that care about their reputation to take steps to ensure their employees receive their lawful entitlements. The Fair Work Ombudsman will work with any franchise that is serious about doing the right thing by its workers. Fines for record-keeping and payslip contraventions have also been increased. There is a new prohibition on hindering or obstructing workplace inspectors. Further, an employer who has failed to make and keep employment records, or issue payslips, in accordance with the relevant legal requirements will bear the burden of disproving a wage claim, unless the employer can show that they had a reasonable excuse for this failure. 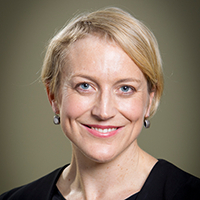 Strengthening the record-keeping and payslip obligations is significant in light of the fact that two-thirds of the Fair Work Ombudsman’s court cases in the last financial year involved alleged record-keeping and payslip contraventions with almost one third involving allegations of false or misleading records being provided to the regulator. The new laws also: prohibit employers so-called ‘cash-back’ schemes – whereby employers demand employees to pay back a proportion of their wages in cash; and provide the Fair Work Ombudsman with new compulsory evidence-gathering powers, albeit these can only be exercised within strict limits. The new laws will apply from the day after the Bill receives royal assent, except for the new provisions extending liability to franchisors and holding companies, which will commence six weeks after the assent date. Thanks Tess. Very interesting, and we will have to keep tabs on how the new law operates in practice.